Some Blizzard job listings have revealed that the company is apparently working on remasters for Diablo 2 and Warcraft III. PC gamers have been clamoring for remasters of StarCraft, Warcraft III, and Diablo 2. Although the StarCraft remaster has already been confirmed, the other two have only existed in the dreams of those gamers. Now, it looks like those wishes may come true, as the remasters exist on Blizzard's job site as well. "Compelling stories. Intense multiplayer. Endless replayability. 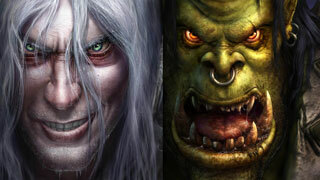 Qualities that made StarCraft, Warcraft III, and Diablo II the titans of their day. Evolving operating systems, hardware, and online services have made them more difficult to be experienced by their loyal followers or reaching a new generation. We're restoring them to glory, and we need your engineering talents, your passion, and your ability to get tough jobs done." A second listing seeks a UI/UX Designer, and says that, "Warcraft, StarCraft, and Diablo await your machinations." Of course, there hasn't been any sort of official announcement of either the Diablo 2 or Warcraft III remasters, but these job listings certainly make it seem very likely that we'll see them sooner rather than later.